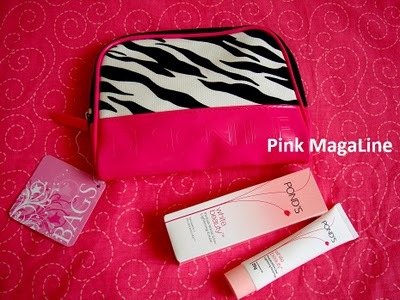 Jingke of Pink Magaline is giving away this beautiful pink vanity kit with her favorite Ponds product to her follower. Winning this beautiful stuff is so easy. Just share something about the beauty product you can't live without and of course, you need to be a follower too. Hello there!I cannot live without my lipbalm, mascara and tinted moisturiser!All three are good for me (they're all natural ones with vitamins and look gorgeous!). Oooops sorry about the last comment.Could you erase it please?